It’s real easy for Cathedral City drivers to take their car’s air conditioner for granted. Just push the right buttons and out comes cool, dry, clean air. But air conditioning service is commonly neglected, which results in many cars suffering from a broken A/C system. This is not something that you want to happen if you drive in Cathedral City, because the place is known for brutal, sweltering heat all year-round. 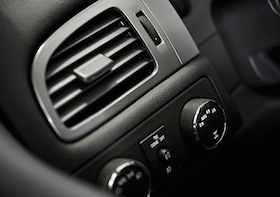 Do you hear loud noises under the hood when you turn on your air conditioner? Do you only get cool air sporadically? Is the A/C not blowing any actual air? When most cathedral city folks hear the words “air conditioning problems.” it sends a shiver up their spine. That is because the air conditioning system is fairly complex. It has a lot of parts and when it’s broken, it’s hard to repair. What things can cathedral city drivers do to prevent air conditioning breakdowns? A common cause of air conditioning failure is leaks. Water and air can leak into the system. It doesn’t work as well with air in it and water can cause rust that leads to damage of the car A/C components. Also, refrigerant, the stuff that makes the air cold, can leak out, reducing the efficiency of the system and making it work harder to cool the air. Periodically evacuating the air conditioning system and recharging it keeps the proper amount of clean refrigerant in the system so it cools better and lasts longer. 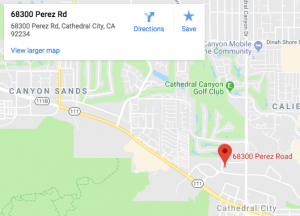 Cathedral City drivers should run their air conditioner regularly, even during winter so that it lubricates itself and keeps the seals from drying out, which leads to leaks. Your owner’s manual will have recommendations for how often to service your air conditioner. Of course, if it’s not working right, now is the time to get it checked. The team at Davies Auto Care in cathedral city can inspect and test your air conditioning and offer evacuation and recharge services. Call us now and we can help you avoid costly repairs in the future.